The Victorian ASELCC have recently published two important papers in The Journal of Autism and Developmental Disorders titled, "Outcome for Children Receiving the Early Start Denver Model Before and After 48 Months" and the 'Effectiveness and Feasibility of the Early Start Denver Model Implemented in a Group-Based Community Childcare Setting'. Further information about these papers is described in "Points of Interest". Channel 7 reporter Karen O'Sullivan visited the centre in 2014 and reported on this research on the Channel 7 News. Additional information about this research (and other research projects) can be found at the OTARC Blog.In addition to the information found on this page, families who are considering enrolling their children at our Centre should refer to our information for prospective families. 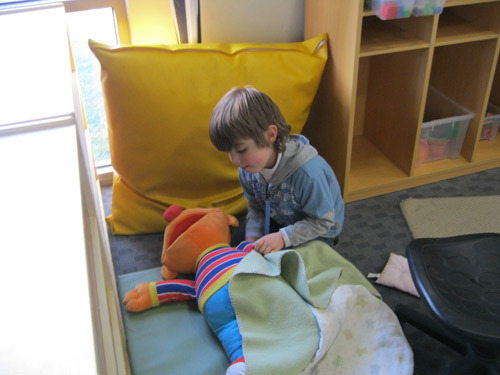 We provide ESDM to children within a mainstream long day care program, at the La Trobe University Community Children's Centre (Bundoora) and at Gowrie Victoria (Docklands). 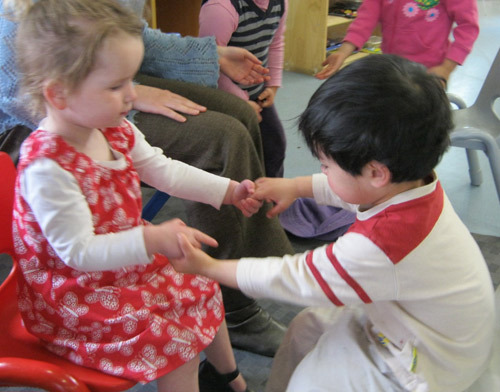 All educators are trained to include and teach all children in their rooms, and ESDM trained staff target individualised goals within the group environment. Please see the program guide - 181KB for details and pricing. 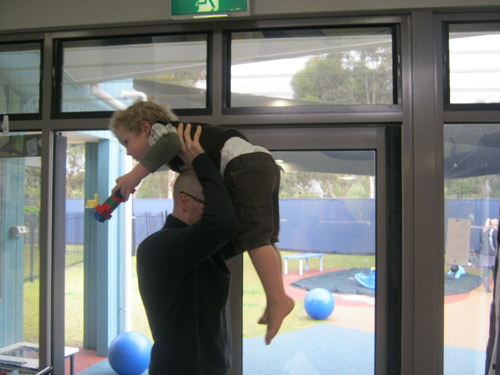 We provide ESDM to children within an autism specific long day care program. All staff are trained to target individual goals within the group environment. Please see the program guide - 144KB for details. 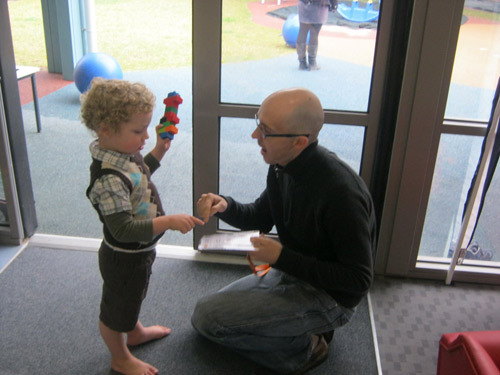 La Trobe University's Autism Specific Early Learning and Care Centre (ASELCC) provides highly specialised training on the Early Start Denver Model (ESDM) for parents, professionals and para-professionals. Click here for more information. 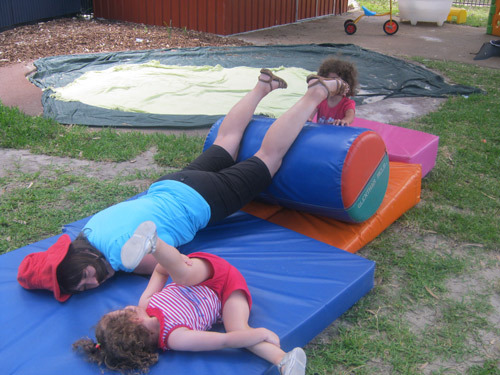 The Victorian ASELCC team is trained to provide parent coaching, to provide them with tools and strategies from ESDM to teach and engage their child through play and everyday routines. Parent coaching is currently only available through research studies, which have specific eligibility criteria. More information will be available shortly. Families who are not interested or eligible to participate in this research may express interest in parent coaching as a fee-for-service, by emailing autismtraining@latrobe.edu.au. Please note that the coaching team’s capacity to provide this service is likely to be limited. 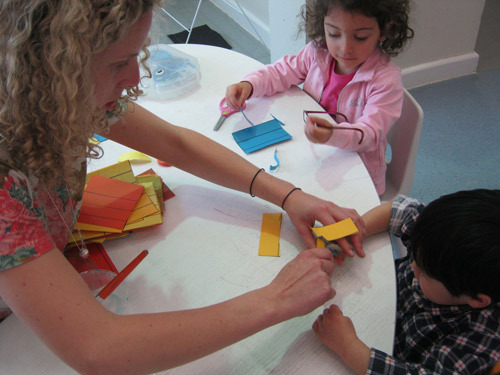 You’re welcome to join us for a 4-part family workshop series to be presented by the Autism-Specific Early Learning and Care Centre team of allied health and education professionals. We will be exploring topics such as toileting and mealtime routines, understanding and changing behaviours of concern, and foundations of the Early Start Denver Model of intervention. We will also discuss strategies to support your child’s participation, engagement with you and others, communication, and learning within these topics. 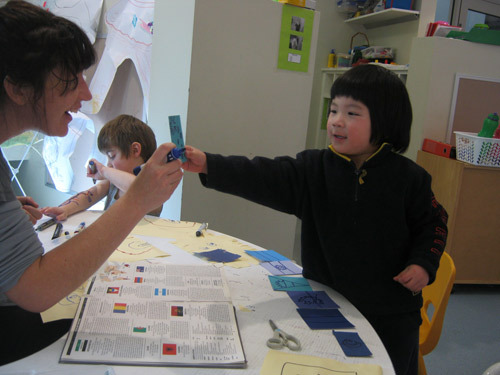 The Autism Specific Early Learning and Care Centre (ASELCC) initiative is jointly implemented by the Department of Education, Employment and Workplace Relations (DEEWR) and the Department of Families, Housing, Community Services and Indigenous Affairs (FaHCSIA). FaHCSIA is responsible for the implementation of the six ASELCCs nationally (one for each state) which are an additional commitment to the Australian Government's $190m Helping Children with Autism package. As an ASELCC, we are committed to addressing the needs of families of children with autism at the Margot Prior Wing (MPW). At the same time, we are dedicated to follow up-to-date and evidence-based science in the treatment of autism.The early intervention program being researched and implemented in the MPW is the Early Start Denver Model (ESDM) (see Early Intervention Explained for further details). 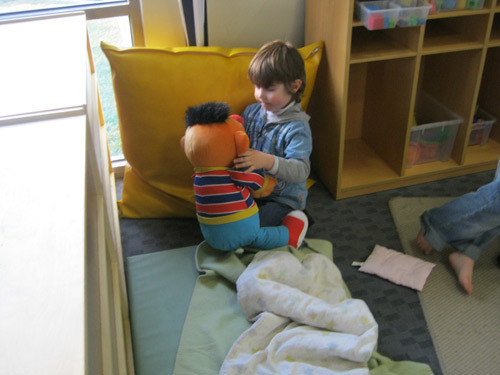 Our Centre provides early learning programs and specific support to children aged zero to 48 months with autism spectrum disorders (ASDs) in a long day care setting, and is intended to have a positive impact on your child's long term life outcomes. 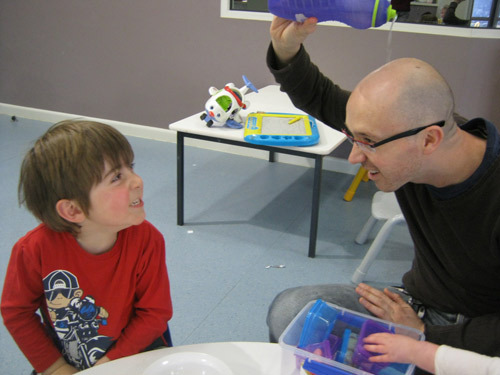 The Centre will provide you with support in the care of your child and give you the opportunity to participate more fully in the community. 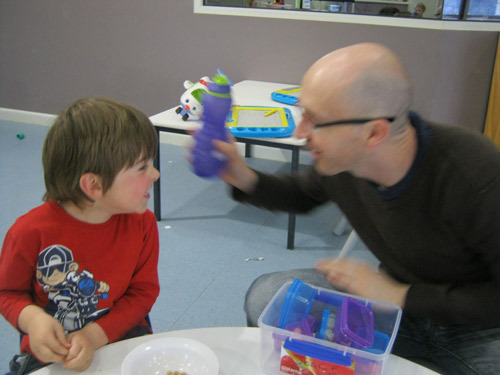 The centre has two playrooms with each catering to ten children with autism (formal diagnosis is not required). 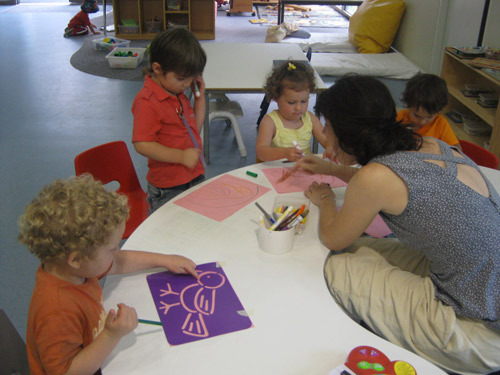 Each playroom is staffed by a teacher with experience/training in special education, 2 diploma qualified educators and a certificate III qualified educator. The centre also employs an allied health team of psychologists, speech pathologists, occupational therapists, an ESDM training team and a research team of 3 postdoctoral research fellows. Parents are required to specify the times of attendance required when enrolling their child/ren.